Ancient Greece is well known for its colourful mythology, but perhaps the most fantastic of its creations are its monsters. 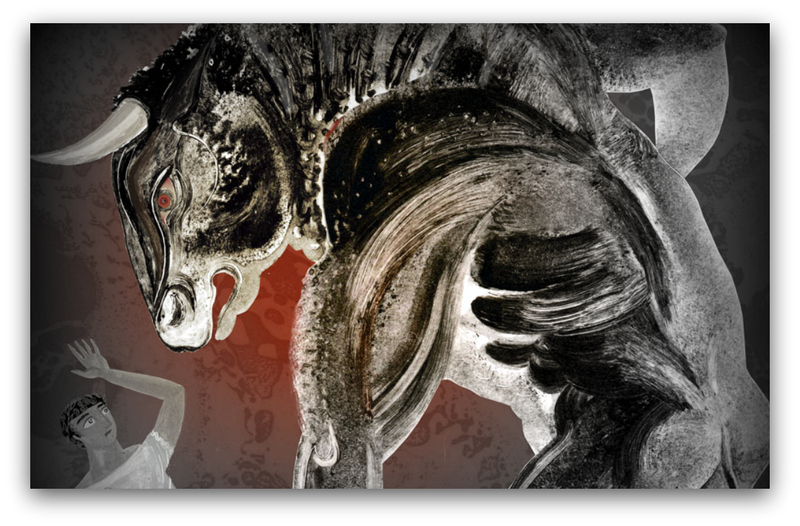 Usually requiring a god or hero to defeat them (or sometimes both), the legends of these incredible beasts have stood the test of time and still permeate popular culture today. 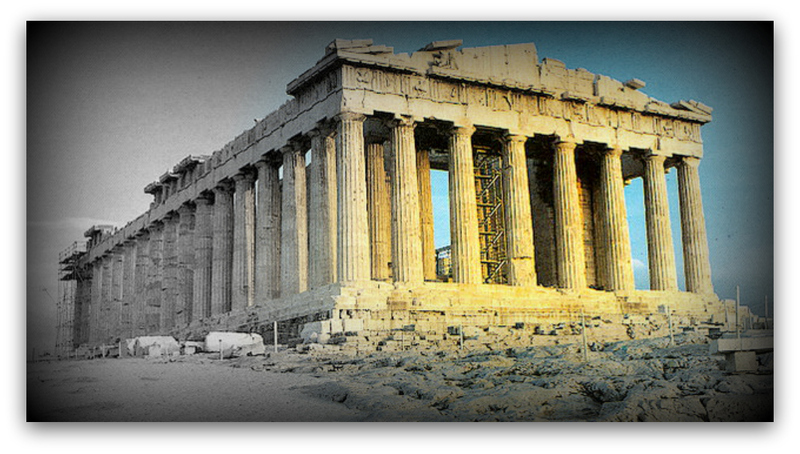 But which are the most enduring of ancient Greece's monsters? Read on to find out (just don't forget to bring a ball of string with you). 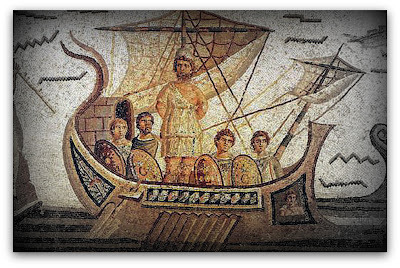 Polyphemus, the giant one-eyed son of Poseidon and a sea nypmh, is arguably the most well known Cyclops in ancient Greek mythology. Encountered by Odysseus and his men on his travels, Polyphemus trapped them in his cave and began eating them two by two. The next morning, after the Cyclops had left to graze his sheep, Odysseus and his crew sharpened Polyphemus's club into a point and lay in wait for his return. After eating two more of his men, Odysseus offered Polyphemus some of Maron's incredibly strong wine, telling the now rather inebriated Cyclops that his name is “Nobody” when asked. After falling into unconsciousness as a result of the wine, Odysseus and his men drove the sharpened club into Polyphemus's eye, blinding him. Crying out that “Nobody” has hurt him to his Cyclops brethren, Polyphemus's cries are ignored and Odysseus and his men escape the next morning by tying themselves to the undersides of the Cyclop's sheep. Cerberus, as you most probably know, is the (usually) three-headed dog employed to guard the gates of the Underworld. 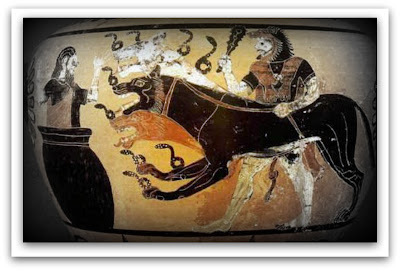 Born to Typhon, a fire-breathing giant, and the half-woman, half snake Echidna, Cerberus's preference for live meat made it perfect for the task of keeping the living out and the dead in (unless you happen to be a legendary hero toting drugged honeycakes or are really good at playing the lyre). Cerberus was also retrieved from the Underworld by Heracles and dragged before king Eurystheus, who was so scared that he hid in a vase and released him from his labours. Cerberus has made several prominent appearances in popular culture, including in Disney's Hercules and even Harry Potter (though whether Fluffy is actually Cerberus itself or just another three-headed dog is never really specified). 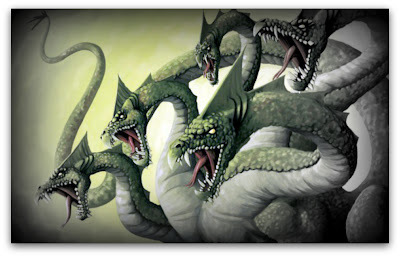 Another child of Typhon and Echidna, the Lernaean hydra was summoned by Hera for the sole purpose of slaying Heracles. Faced by the hero during his second labour, severing the hydra's head caused two more to grow in its place. Enlisting the help of his nephew Iolaus, the boy suggested the idea of cauterising the stumps after each head was severed. This proved to be rather successful, so much so that Hera also sent a large crab to try and distract Heracles from the fight (although he simply stomped on it and carried on). So upset that her creations had been defeated, Hera placed them both in the sky as constellations (Hydra and Cancer respectively). 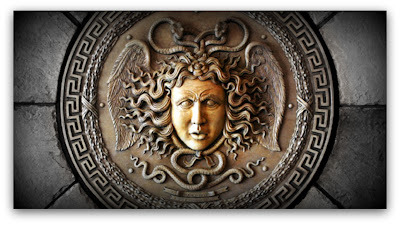 One of the three Gorgons (her lesser known siblings being Stheno and Euryale), Medusa and her sisters were the offspring of two ancient marine deities who also happened to be brother and sister (which might explain her appearance). However, some versions of the legend state that Medusa received her horrifying countenance as punishment for being caught in flagrante with Poseidon in Athena's temple by the goddess herself. Apparently the only mortal among the three Gorgon sisters, she was slain by Perseus using a special mirrored shield given to him by Athena (clearly making her so hideous she turned everyone that looked at her into stone wasn't punishment enough in Athena's eyes). 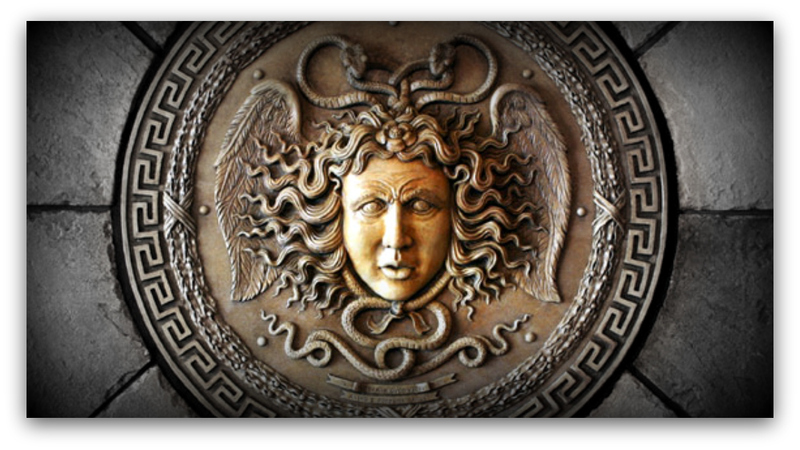 After using the severed head to turn king Polydectes to stone (he was attempting to force Perseus's mother to marry him), Perseus gave Medusa's head to Athena who placed it on her shield (the legendary Aegis). Perhaps one of Ancient Greece's best known tales is that of the Minotaur. The Minotaur was born as a result of Minos's wife Pasiphaë's union with a white bull (who went on to star in several other myths) received as a gift from Poseidon. Minos was meant to sacrifice it but instead kept it due to its great beauty (although he did, to be fair, sacrifice another one in its place), leading to Aphrodite punishing him by making his wife fall in love with the bull. Not content with just looking at the bull, Pasiphaë had the craftsman Daedalus make her a hollow wooden cow and you can probably guess the rest (those Greek gods and their antics, eh?). Although Pasiphaë tried to raise the baby Minotaur that was subsequently born herself, he soon grew too ferocious and so was removed from the family’s more traditional Crete villas and placed inside a specially constructed labyrinth. In order to appease his fondness for human flesh, the growing young Minotaur was fed seven Athenian youths and seven maidens every ninth year. The Minotaur was eventually defeated by Theseus with the aid of Ariadne (who gave him the legendary ball of string which helped him find his way back out of the labyrinth). However, he abandoned her on Naxos in favour of her sister Phaedra. Eli Smith loves his ancient history but would certainly not want to meet any of these creatures in a dark Grecian alley.